Home » NEW LIFESTINKS USER? Get started here. Joining the lifestinks® family today? Our refillable, stainless steel decanter comes loaded with a 9-month supply of our dry deodorant. 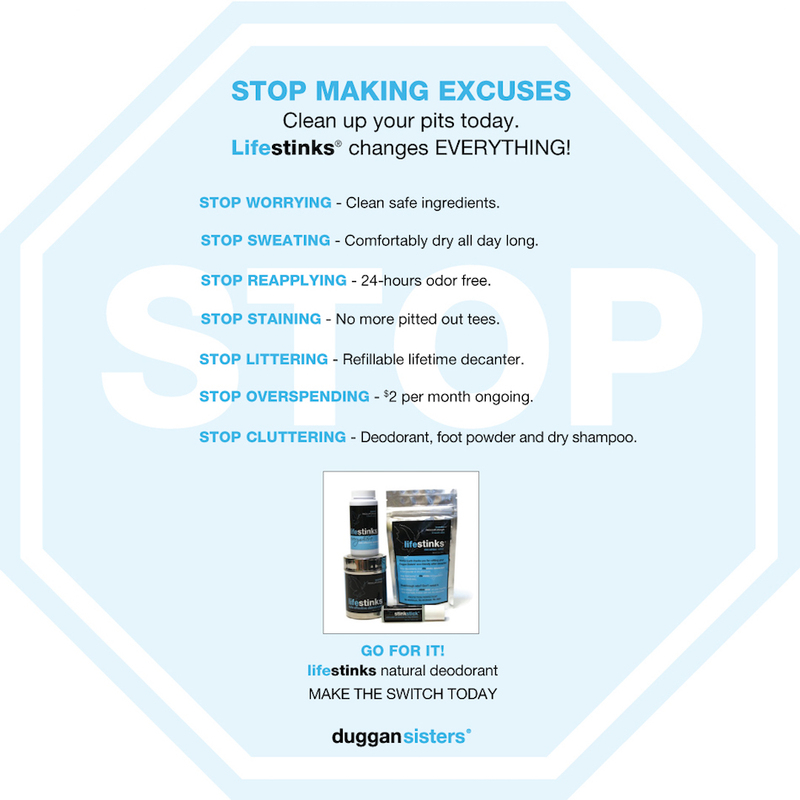 Spend a few minutes with us in our den to learn about Getting Started with Lifestinks and order yours today! Watch these videos for help on selecting the correct flavor and strength for you! We offer both lavender and cedarwood infusions in both regular and extra strength. Lavender Regular Strength is our TOP SELLER for men and women alike. Take a few minutes to learn more! Want to try them all before you buy your lifestinks decanter? Want to share lifestinks, but not s..
Are you ready to jump on board with a deodorant that’s good for you, good for the ..
Are you ready to jump on board with a deodorant that’s good for you, good for ..
Wouldn’t you love a deodorant that's good for you, good for the planet and actually works? Switc..
Are you ready to jump on board with a deodorant that’s good for you, good for the plan..
Wouldn’t you love a deodorant that's good for you, good for the planet and actually wo..
Wouldn’t you love a deodorant that's good for you, good for the planet and actually works? S.. Try a lifestinks travel size. 120-day supply to get you started! Not sure which flavor and strength you need? Tired of natural deodorants that don't work? Want t..
Wouldn’t you love a deodorant that's good for you, good for the planet and a..